As Toronto’s finest wedding band, live music and production agency, Main Event Music will customize your live music event needs and vision. Our mission is to provide that unique spark that truly inspires your event. The Toronto Orchestra, better known as T.O. provides a first-rate concert experience. The Deep House Project was curated to bring a breath of fresh air to the cocktail and chic event landscape. Deep, sultry and modern sounds played live, authentic and with genuine soul. The perfect wedding doesn’t come easy. But at Main Event Music, we can help! Our Toronto wedding band produce an exceptional atmosphere that can’t be found anywhere else. 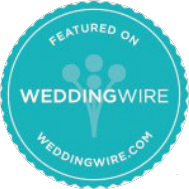 We understand how important every minute detail is to you on your wedding day. From the cutting of the cake to the colour scheme, to the seating plan and the starters being served, putting your personal touch on things makes the wedding feel like it’s truly yours. 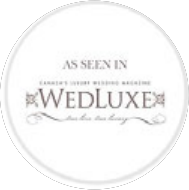 Let us take at least one worry away and guarantee you a unique wedding party with the most amazing and unforgettable wedding band Toronto has to offer. Our wedding bands leave your guests wishing the night never ended. When you choose one of our highly professional and talented wedding bands, it makes the night magical. There’s a certain finesse in live performances that some entertainers just don’t get. At Main Event Music, we ensure that our acts are the most talented wedding bands in Toronto. From interactivity to flexibility around songs and timings, our team, made up of former leading live performers young and old, judges these factors and only pick the cream of the crop to work with us. That’s why we promise you not only an unforgettable wedding party but one where you can feel the energy in the room and see the ear-to-ear smiles on your guests’ faces. We work with you to understand what you want. Wedding bands in Toronto can be hard to pick from with such a wide variety, all promising wonderful things. But once you book one of our bands, they’ll sit down with you to discuss your demographic, what you want to hear and how you want it done. These details give the group a chance to prepare and go the extra mile to relate to your needs. This is all part of the exceptional customer service that our artists and we provide. The only problem you’ll have now is choosing who you want to play! I just wanted to let you know personally how thrilled we were with the entire Boogie Band. You guys exceeded every expectation we ever dreamed of and we have all been hearing endless compliments about your team. The music and set list were just perfect and if I had to do it all again- I would not change a single thing. I wish you all endless success as it will no doubt follow you! Thanks again! We wanted to take a moment to send you a message to say a massive thank you for Sunday night. Every one of our guests absolutely ADORED the band and we had the best party ever- you made our night so incredibly special. We are still getting tons of emails from our friends and our parents friends saying how amazing the band was...really truly outstanding. Thank you thank you thank you!! Universal Boogie Band played at my wedding and were absolutely incredible. They brought together multiple cultures on the dance floor and we are still hearing from guests how amazing the band was a week after the wedding. Thank you for bringing such amazing talent and energy to the party. Shayna and I just wanted to thank you for everything last Thursday. Marc, I didn't get a chance to speak to you on the day, but I thought the band was incredible. They really brought a ton of energy and the new songs you learned for us were fantastic. Everyone who calls/emails to talk about the wedding has made a point of bringing up how fantastic the band was. Jian, thanks for working with us to bring everything together. It really was an amazing evening. Thank you to you and your band. You guys were magnificent. As I told you at the end of the evening, I received so many compliments about the band. I love how interactive your band is and that the vocalists and the musicians get off of the stage and move about the party. You guys were definitely our favourite aspect of the evening.